fictionalized account of his travels, the novel focuses on the people whom the unnamed narrator encounters on the hustling scene in a number of cities, including New York, San Francisco, New Orleans, Chicago, and Los Angeles. Together, these cities make up the titular "city of night," or, as Rechy writes, "the city of night of the soul." A state of mind rather than a particular place, this "city"---modern America---is where hypocrisy and homophobia are reconciled with the fact of homosexuality in various forms, and poverty may be more spiritual than material. 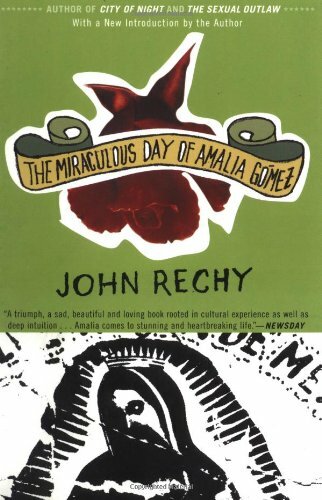 The book owes something to two classics: Jack Kerouac's Beat novel, On the Road, which celebrates countercultural alternatives to middle-class culture and lifestyles, including bourgeois marriage and family life, and Djuna Barnes's modernist novel Nightwood, which explores a tragic gay "nightworld" as a symbol of the modern urban wasteland. Rechy addresses similar themes in a later work that is equally well known, The Sexual Outlaw (1977), which he has described as an experiment with the novel form. Ostensibly a documentary of the life of a gay man, the book is also a critique of American values and morality. Commentaries throughout the text are really journalistic essays that expose the double standards and double binds of a "closeted" culture, in which many fear to be openly gay because of homophobic reprisals. Rechy has suggested that all of his work (which includes plays, essays, and reviews, as well as novels) articulates the need to preserve gay "difference," which he associates with "abundant sexuality," in the face of increasing "heterofascism."